This is the only way I can eat stovetop popcorn now! I found this a couple of years ago and I can never go back. I even have a friend who begs me to bring this to every get-together we have. 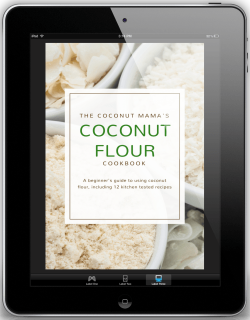 Can I use coconut manna instead of oil? protect grass because cows eat it? Enjoy your popcorn in an air popper, darlin’. is it really possible to get non gmo popping corn. knowing that certification regulation for certified organic can be deceptive in some situations..
i was told by a company that sells popcorn (when i asked if they carry organic organic popcorn)that you truly can’t get organic non gmo popcorn, it doesn’t exist. Will this last more than one day or does it have to be eaten in one sitting? Please stop using all varieties of palm oil. Harvesting palm oil is the number one factor and the overwhelming contributor to the extremely rapid decline of the orangutan populations by the decimation of their habitat. The orangutans are approaching extinction at an exponentially faster and faster rate. They will be gone from the wild very soon if we do not stop using PALM OIL. Thank you for considering their plight. Stay up the good work! You recognize, a lot of persons are hunting around for this information, you can aid them greatly. I have been popping corn with coconut oil for years, and we love the taste. I do use the Presto stirring electric popcorn popper, and the popcorn comes out perfect every time. Can you do this in the microwave? I love coconut oil popped corn but I go a step further. I heat my coconut oil and then the test piece pops I put in the rest and wait 30 seconds, I sprinkle a heaping tablespoon of sugar and let it pop. Its the BEST ever. OMG. I just tried it. It is simple to make. I had mine plain, while my fiancé added butter. YUM!!!! Once you find that sweet spot of how much heat to apply, shaking the kernels isn’t necessary. I have always been obsessed with popcorn. As a kid I would go through multiple bags every time we got a new microwave just to find the sweet spot of how much time it took to pop the most kernels without burning. Since I switched to coconut stove top popcorn a number of years ago, I found the sweet spot with a great pot that results in 98.7635% (or pretty close 😉 of kernels popped. Wow! Can’t believe how good this came out. Just like movie popcorn. Actually, better. I did the mix of coconut and red palm oil. Amazing. Thank you for sharing. Thank you so much!! This tastes just like movie theatre popcorn. Not coconutty at all. My boyfriend hates the taste of coconut and he loved this! Thank you! Thank you! Thank you! This was a huge help. I’ve started using coconut oil recently but have struggled with my popcorn being chewy. The temperature really helped me a lot. And the coconut oil leaves the pan really clean. Other oils were always a big scrub fest to clean up. With Coconut oil I can just wipe clean. Followed the recipe and enjoyed some delicious popcorn. I did not add salt but I did use a butter flavored popcorn spray and popcorn seasoning. Thank you! Just FYI… you don’t need to buy expensive popcorn because none of it is GMO. never have to worry about your popcorn being GMO. Makes you feel a little bit better about ordering that large tub at the movie theater! Most movie theaters use coconut oil. It’s the oil they use for the “butter” that should be avoided. Been using CO in my Whirley pop popper for years. I only use about a teaspoon of CO per 1/2 cup of corn. Use the other 2 ts melted with about a ts of butter for that “buttery” taste. 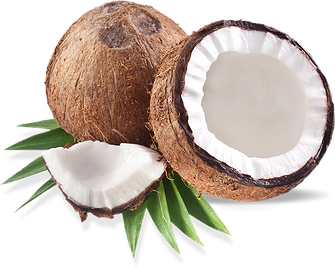 Will the coconut oil work OK in a electric popper ? Does the popcorn have a “coconutty” flavor? Looking to pop in a healthy oil, but neutral in flavor. If you use expeller pressed coconut oil it won’t have a coconut flavor. Please do not use palm oil!!! In your popcorn recipe, you suggest adding palm oil to see more color in the popcorn. Palm oil is sourced from the forests which serve as the habitat for orangutans and other threatened animals. The demand for palm oil and other products is causing the destruction of critical habitat for these animals. Please BOYCOTT PALM OIL. Hi Sarah, Thanks for sharing your thoughts. I completely agree that you should know your source of food. We only use sustainably sourced palm products. Wilderness Family Naturals and Nutiva source their palm products from sustainable farms. We love it that way too. Then we top it off with more melted coconut oil instead of butter. No greasy mess afterwords! we air pop our pocorn and use coconut oil as butter! the only way we eat popcorn! Perfectly timed post! I stopped using coconut oil for popcorn because I kept getting chewy or burned results. Gonna try your lower heated, tested with a few kernels approach for movie watching tonight! I make this all the time, but using a Hot Air Popper. I melt the Coconut Oil separately and drizzle over the Popcorn once it is done. This also allows the salt, if used, to cling onto the kernels. Love it, and find it as good as Buttered. We did this for the 1st time last night and it was definitely tasty! I LOVE to add some flavored stevia in the oil when it is ready to pop and then add shredded non-sweetened coconut on top….yummmm!! nutritional yeast is vile. the only people who think it tastes like cheese are vegans who’ve forgotten what good foot actually tastes like. I’ve never been vegan and I ADORE the taste of nutritional yeast on popcorn. My husband on the other hand, not so much. It’s all about personal preference. I used Lewis Labs Brewers nutritional yeast and the taste was good on popcorn, you cannot buy that same nutritional yeast anymore and the new Brewers yeast is nasty tasting. What happened Lewis Labs?? You can buy NY at bulkfoods.com. This is our FAVORITE way to eat popcorn….SO YUMMY! Isn’t it!? We’ll be making a batch tonight 🙂 Now, to find a good movie to watch!